He asked the parties to come together in building a statue of Vajpayee here to pay tribute to the leader. 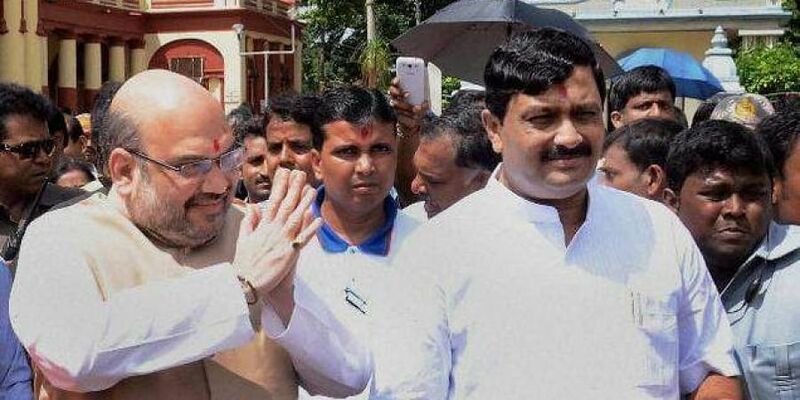 KOLKATA: BJP National Secretary Rahul Sinha on Wednesday took a dig at the other major political outfits in West Bengal for not attending the all-party condolence meet in memory of former Indian Prime Minister Atal Bihari Vajpayee and urged them to come together in building a statue of the late leader in the city. The condolence meet organised by the state Bharatiya Janata Party (BJP) leadership was attended by the Governors of West Bengal and Meghalaya as well as diplomats of various countries, but the leaders of other parties including those of the ruling Trinamool Congress, CPI-M and the Congress stayed away from it despite invitation. "Vajpayee was loved by all. He could get along well with everyone and did not have any enemies even in the opposition parties. He strongly detested political untouchability. But it seems the other parties do not believe in his views, otherwise they would not have been absent from the meeting," Sinha said at the city auditorium Mahajati Sadan here. "It is good that the state government has sent one representative. But when the state's ruling party said it won't come, some other parties also decided to do the same. This is a prime example of political untouchability. Elsewhere, opposition parties confront the state ruling party, but here some parties follow what the ruling party says," he said in a veiled reference to the CPI-M and the Congress, whose leaders were invited to the meeting. "We could not come together in the condolence meeting, but I hope that all of us can come together in building Atalji's statue in Kolkata. It will be this city's tribute to the great leader," he added.